The United States Judicial Panel on Multidistrict Litigation declined to centralize pretrial proceedings in the In Re: Nissan North America, Inc., Infiniti Fx Dashboard Products Liability Litigation, MDL No. 2164, 715 F. Supp. 2d 1355 (June 3, 2010). Nissan North America, Inc. (Nissan) moved for centralized pretrial proceedings in two putative class actions, pending in two districts, alleging that the dashboards in two of its vehicle models were prone to unsightly bubbling. Id. 1355. The litigation consists of one action pending in the Western District of Missouri (Hope) and one action pending in the Eastern District of Texas. Id. Plaintiffs in both actions supported Nissan’s motion. Id. There are only two actions in this docket. Although both are putative class actions, the Hope plaintiffs seek certification of a Missouri-wide class, while the Aaron plaintiff seeks certification of a Texas-wide class. Thus, there are no overlapping classes. In addition, the same attorneys represent plaintiffs in both actions. 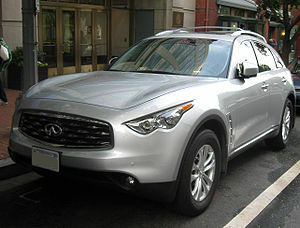 While the actions do share some questions of fact regarding whether the dashboards of Infiniti FX35 and FX45 crossover vehicles are prone to unsightly bubbling, the parties have not convinced us that those questions are sufficiently complex and/or numerous to justify Section 1407 transfer at this time. Alternatives to transfer exist that may minimize whatever possibilities there might be of duplicative discovery and/or inconsistent pretrial rulings. See, e.g., In re Eli Lilly and Co. (Cephalexin Monohydrate) Patent Litigation, 446 F.Supp. 242, 244 (Jud.Pan.Mult.Lit.1978); see also Manual for Complex Litigation, Fourth, s 20.14 (2004). John G. Heyburn II, Chairman, Robert L. Miller, Jr., Kathryn H. Vratil, David R. Hansen, W. Royal Furgeson, Jr., Frank C. Damrell, Jr., and Barbara S. Jones. Tags: and Barbara S. Jones. : BARBARA S. JONES : DAVID R. HANSEN : FRANK C. DAMRELL JR. : Infiniti : Infiniti FX : John G. Heyburn II : KATHRYN H. VRATIL : Nissan Motors : Nissan North America : ROBERT L. MILLER JR. : Sport utility vehicle : W. Royal Furgeson Jr.